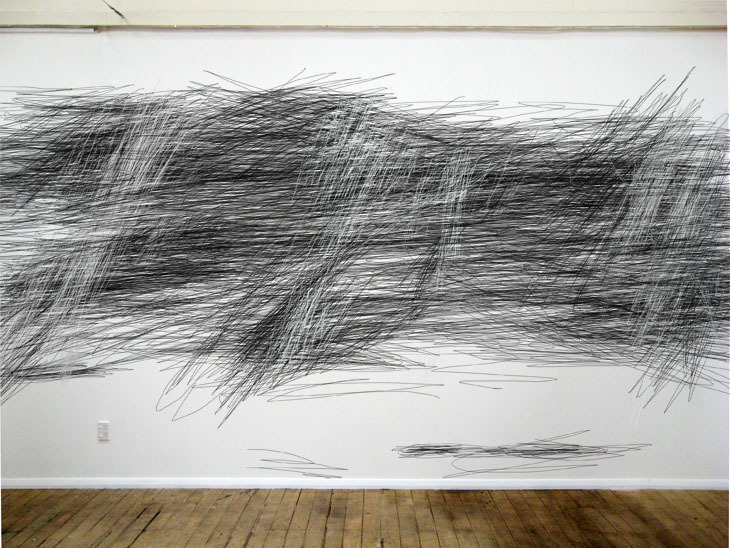 Black Cloud works, 2008-2009. 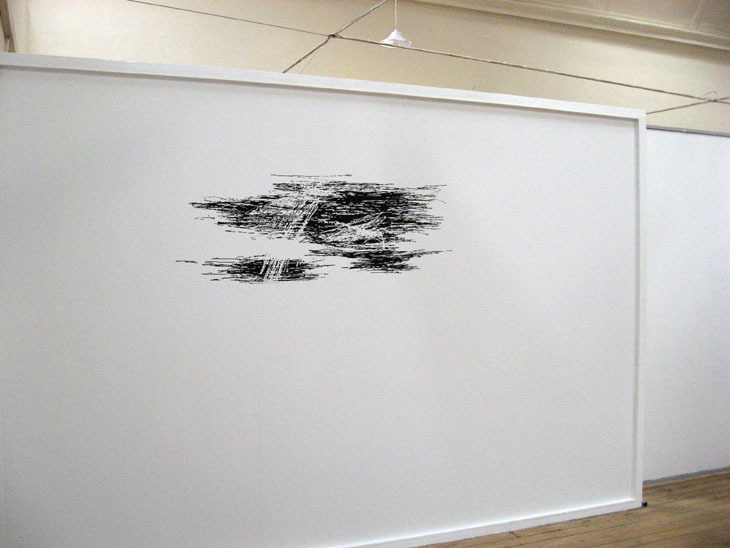 Working drawings for large scale wall works made at Manhatten Studio, Dunedin, NZ (later destroyed). 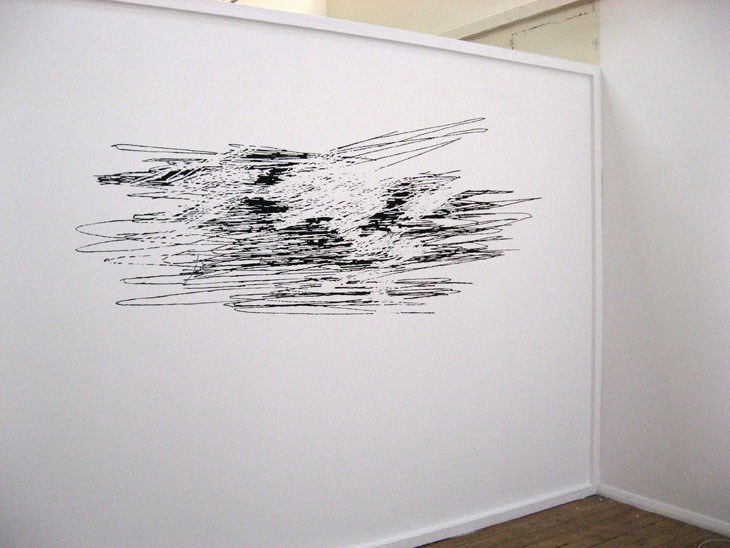 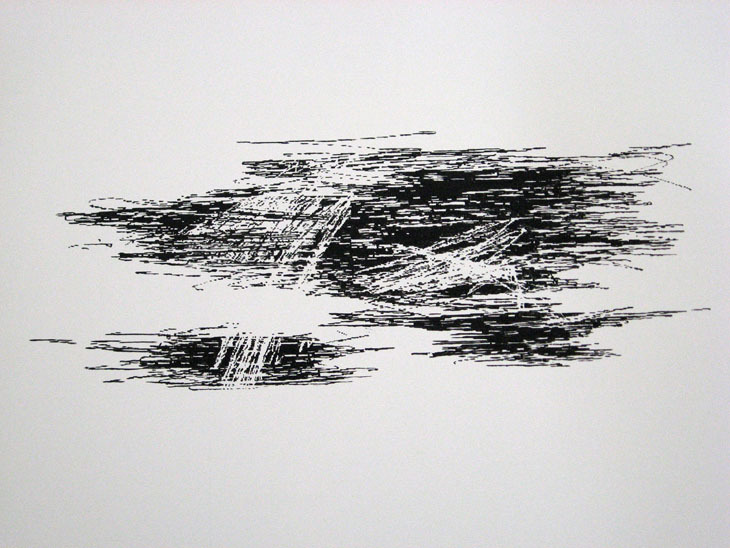 untitled wall drawing (1), 2008/09, acrylic paint on wall. 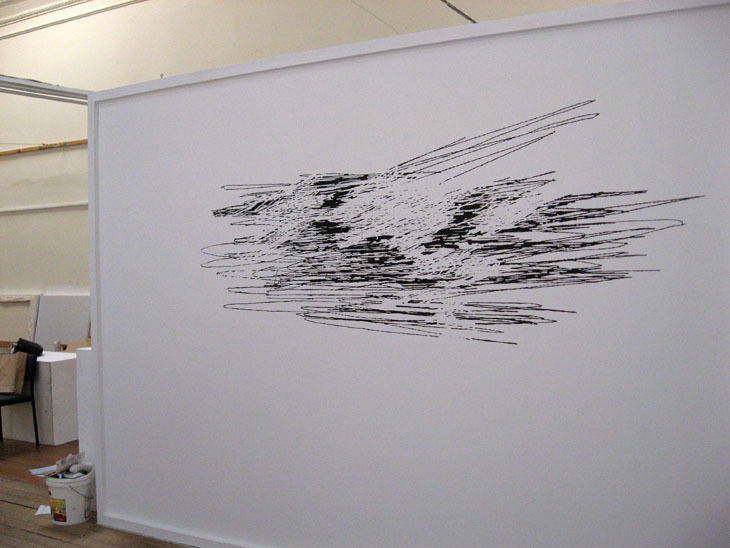 untitled wall drawing (2), 2008/09 acrylic paint on wall.